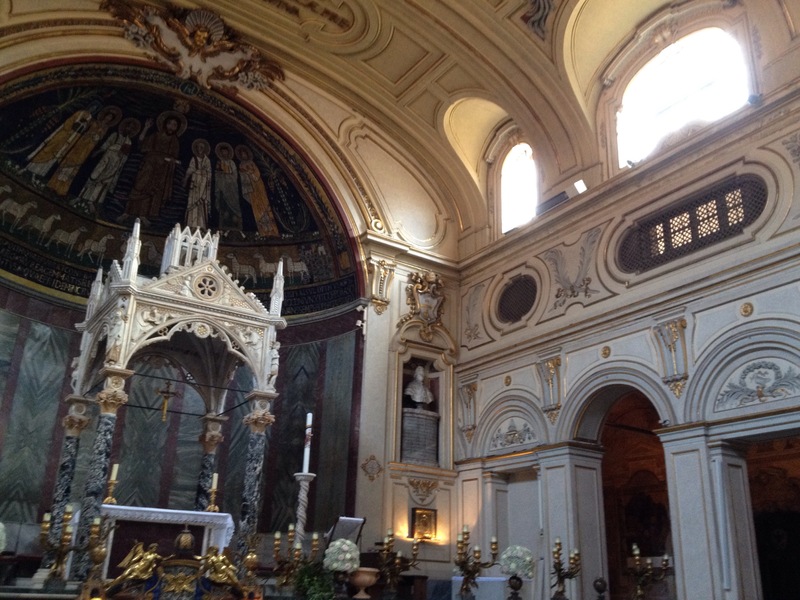 Last night my long talk with Don Paolo got onto the subject of mosaics and he took me to a gallery overlooking the inside the church of Saint Cecilia. He opened up a window and we were basically looking straight out at the 9th century mosaics ! Down below there was a mass happening and the organ music and voices of the nuns singing drifted up. It was a special moment. 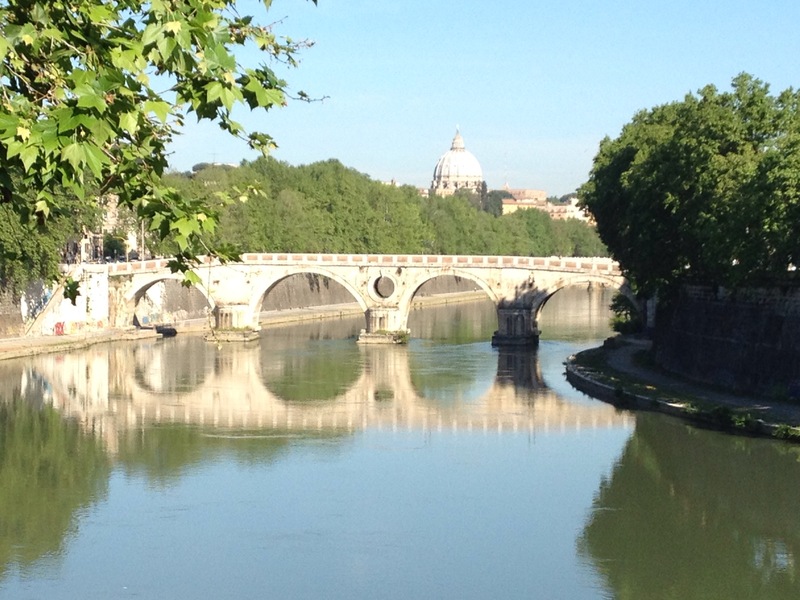 In the morning I semi- hobbled back to the Vatican along the bank of the Tiber. It’s going to take a few days for my feet to start getting back to normal with that big new blister, numerous blood blisters, bruised toes etc ! 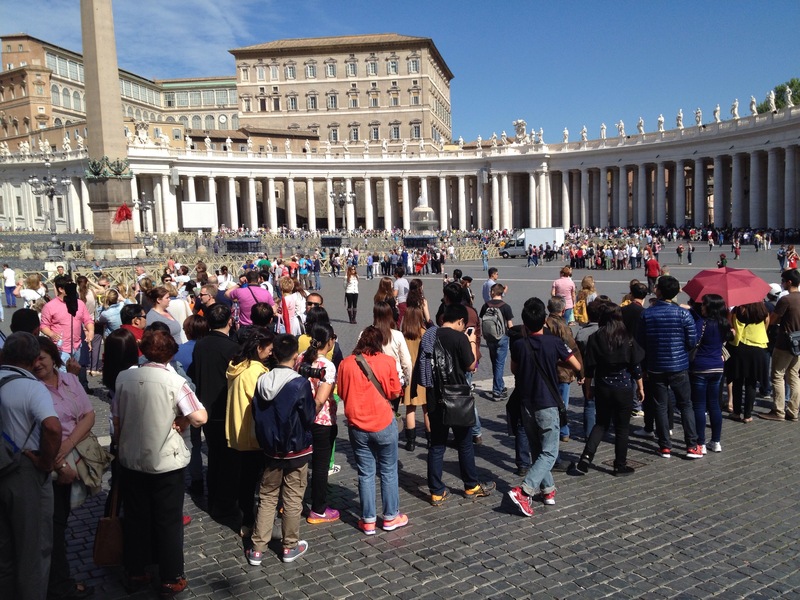 By the time I got to the Vatican at 9.30, there was already a very long queue snaking around the huge square . The office that issues pilgrim testimoniums or certificates is inside the church. There were touts making offers of ‘skip the line ‘, I guess with others standing in the queue ready to give you their place. However luckily us pilgrims have a special way of accessing the interior of Saint Peter’s. Around the left side of the church is a big steel gate. Firstly you go through the metal detectors operated by the Italian State Police. 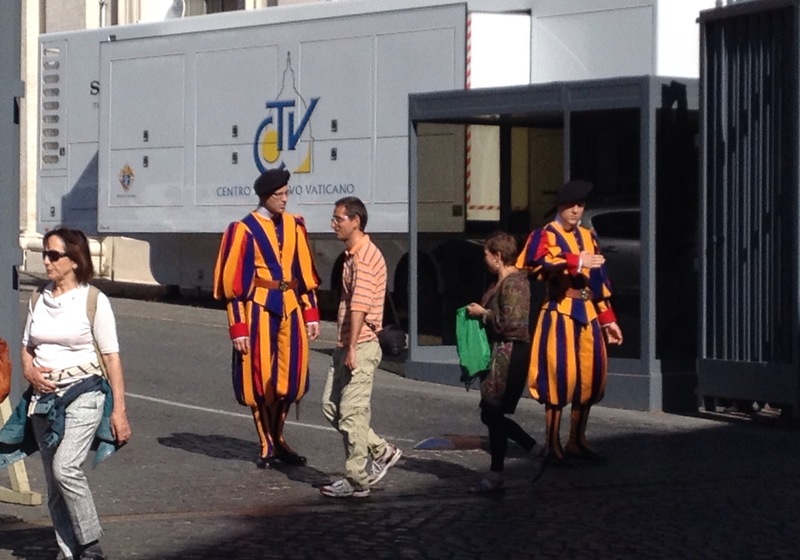 Then you get checked by the Swiss Guards. I’m sure that although they are wearing quaint colorful Renaissance costumes, they’re armed to the teeth. 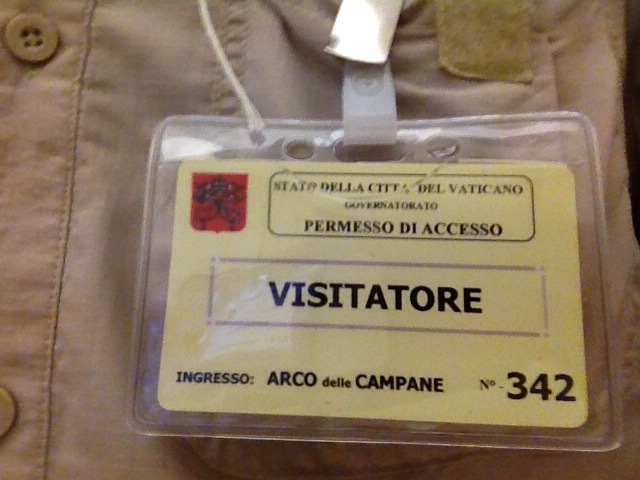 Then you pass on to the Vatican City Gendarmeria who in issue you with a pass in return for your passport . 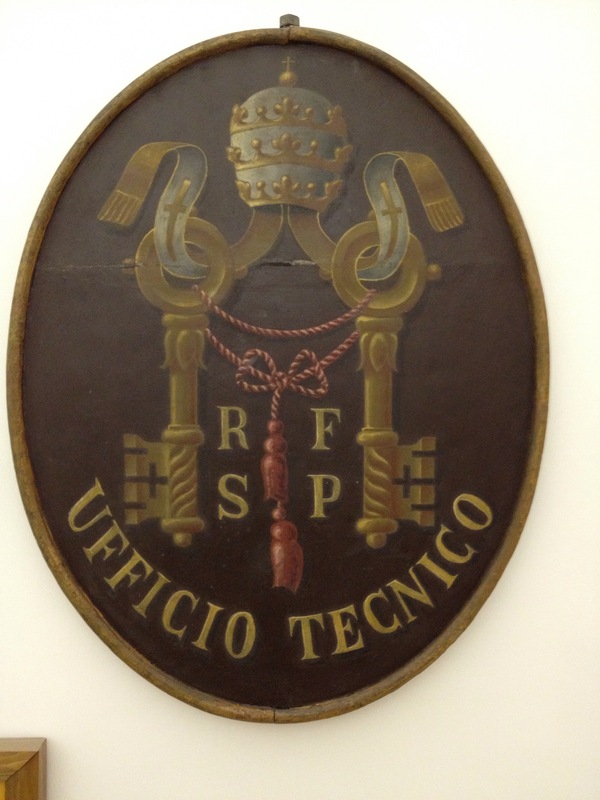 The next stop is the technical office who give you your final stamp on your credenziale or pilgrims passport and issue the Testimonium ! My credenziale ended up looking quite impressive. On the way home, I stopped at the chemist for some foot cream and a weigh in. 88 kilos ! I still have quite a bit of flab but I’ve lost 4 kilos. Tomorrow I’ll start the tour of the pilgrims’ churches. Paul, Congratulations! – but I am sure there is some sadness that your walk is over. 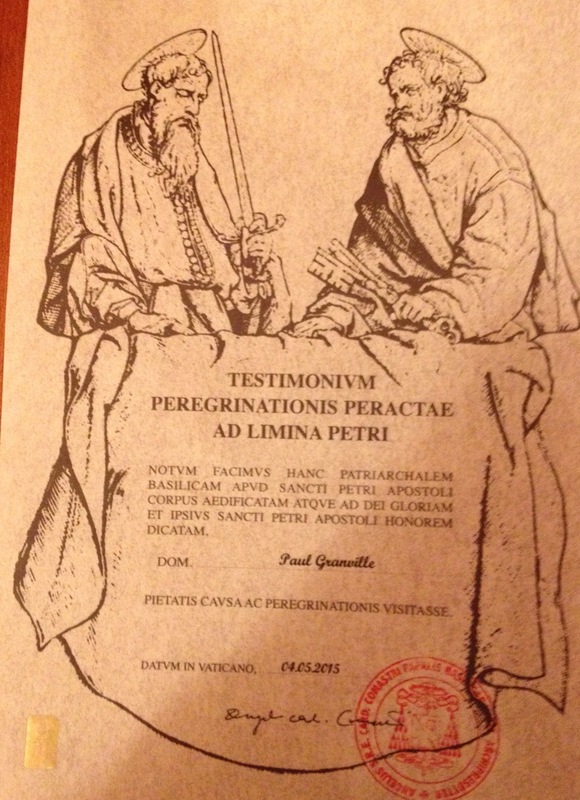 What a great and noble way to enter the Varican – as at true pilgrim. You will remember it always. Alex I’ll share something with you and other readers – I did have a little cry when I arrived the other day. I can’t really explain the emotion of finishing something I was never really sure that I could do.